all of my gr8 grandchildren love their magnetic USA puzzle maps - their parents and grandparents do too!! They all love school and love to learn. It was better than I anticipated! I gave the map to my twin children and they loved it! have fun and educate you child about our great USA! this magnetic map was a wonderful, educational and fun gift for my grandson. 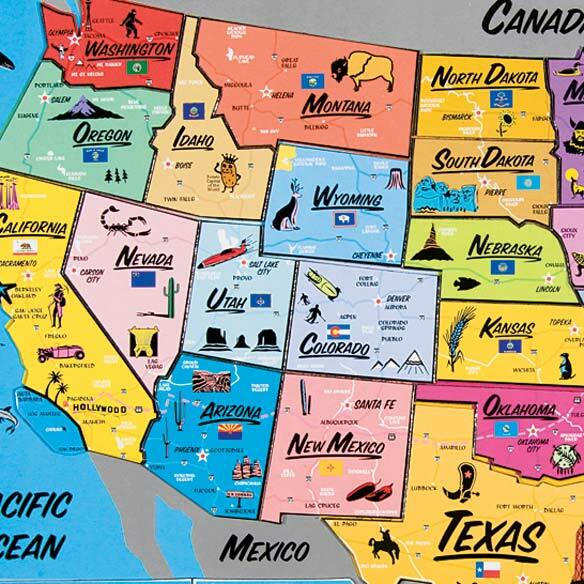 this map teaches the most wonderful things that each state is about. I thought I would get this for my 7-year old granddaughter. She is bright and curious and has done a lot of cross-country travel. She has a globe but I thought this would give her a more close idea of where things are in our country. She is being home-schooled so I think this will be beneficial to her education. This is a fun way for children to learn Geography. 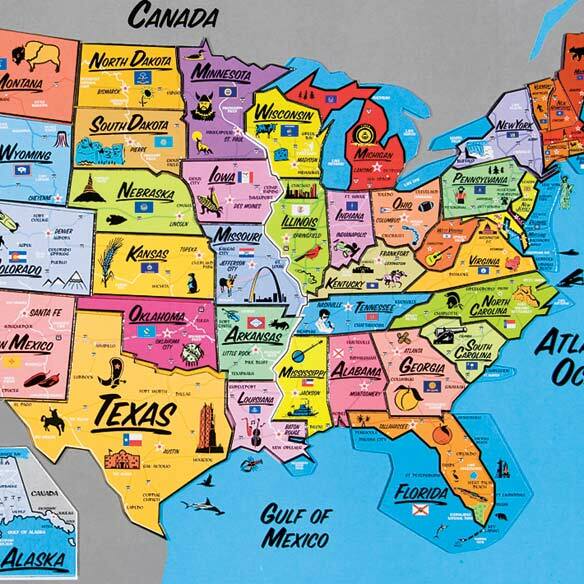 I had a US Map as a child and I still can remember the states and their position in the US. I bought this for nephew as a gift. He loves it! He insists on playing with the puzzle at least three times a day. At four years old he knows all the states by heart, and loves learning about where the rest of his family lives around the country. I just wanted to get him something educational. Honestly, I had no idea that he would like it THAT much! It appears to be exactly as advertised. We thought it would be a fun and educational gift for our 8 year old grandson for Christmas. It is a great learning tool for children. I wish it was on a solid magnetic board but its still great for the kids to learn with. My friend wanted her grandson to learn the location of the States.I found this in your catalog and thought that Billie would enjoy this. USA Magnetic Puzzle Map - love it!!! It went on my fridge door immediately! I had one just like this 3+ years ago and kind of missed it :) Love that is so colorful, fun and educative in the same time! I kept one for myself as I get confused on the Eastern statss. This if fun and really helps know where the states are. The rest went to my greag grandchildren who are learning a lot and have fun doing it. One four year old now knows that he lives in Colorado and where it is on the map. In just one day, I might add. Got these for holiday gifts for neices and nephews...not only fun but also educational!!! Educational tool for my grand child. keeps their attention. 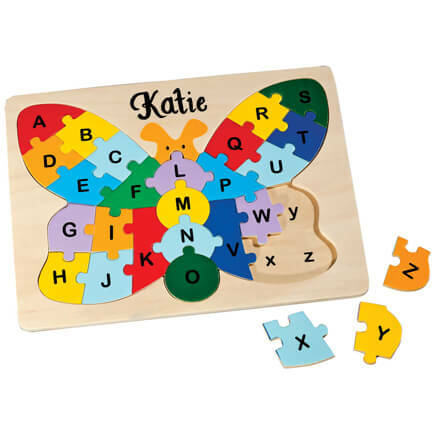 Of course you can use the magnetic puzzle pieces on the board they come on, too. 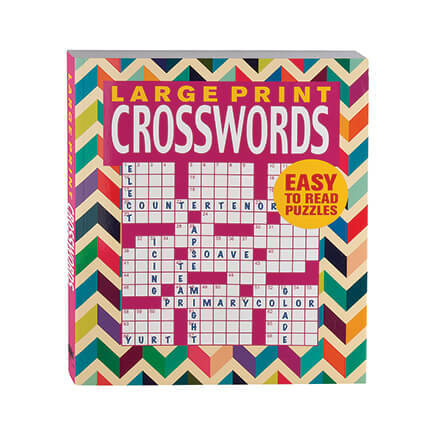 Bought this for my grandchildren as a fun learning tool. But I enjoy it, too. I use it to mark my cross-country travels. I really think it was a great puzzle for someone over 10. What appealed to me was the magnets on each piece, but there was so much information on the puzzle, it was just to overwhelming for my 5 yr. old grandson. 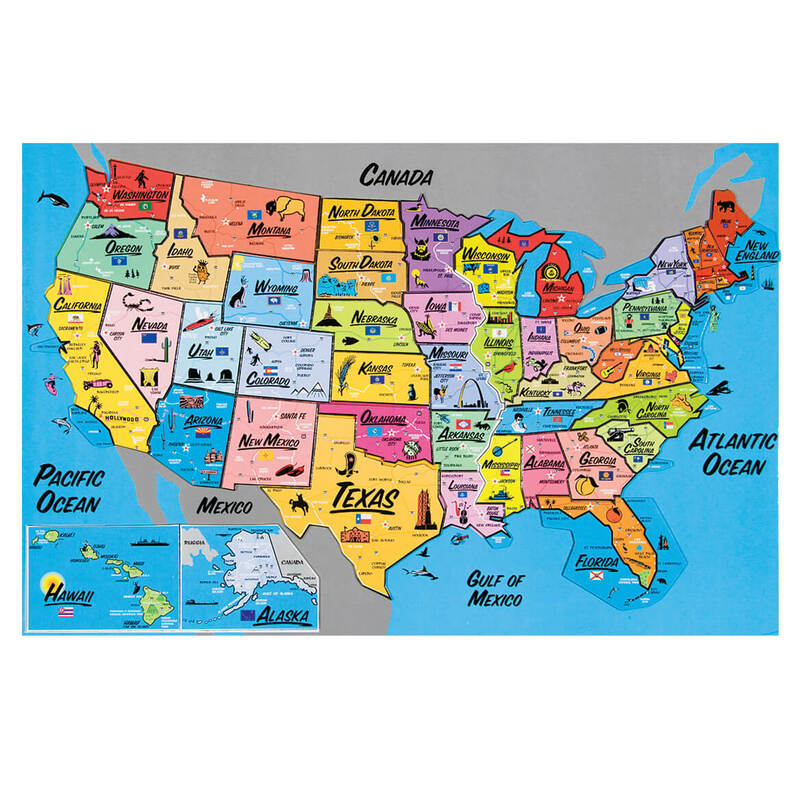 This puzzle is great for learning about the 50 states and their exact locations and sizes. It really is better than a map because there aren't all the lines from the roads interfering, and the border of each state is very clear. I would recommend this to parents for all young children to assist with learning about our country. It is good for adults too that are geographically challenged. Just what I wanted for my grandkids. A fun learning tool for the children. I find with all the electronic toys kids need to study manually in order to expand their minds. I bought this for my 5 and 7 year old grandsons. We've done a lot of traveling. I've always wanted a map to track it! Educational and fun... 2 in 1 toy! My wife bought this for a young relative. My great granddaughter is learning where the states are. I learned the geographical relationship of our states from a puzzle map given to me by my grandparents...just wanted to do the same for my grand nieces. For my Grandkids to learn their states and locations. To help my grandson learn about this great country and where the states are situated. To help my granddaughter learn the states and capitals. young grandson's birthday. can use as a teaching tool. This for our 11 year old Autistic son he loves puzzles. 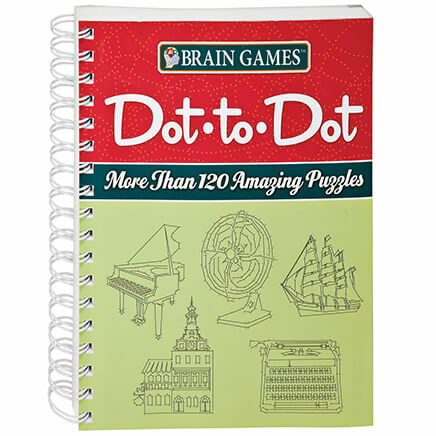 For my granddaughter who is 7 years old and loves puzzles and learning. She loves puzzles and is very good at putting them together. This will teach her all the states and their capitals. My granddaughter who is turning 8 enjoys my USA puzzle that is missing many pieces. She will enjoy this one even more as it has the capitals and info on the state. I'm happy I accidently found it. My grandson is smart and 292nd grade and I thought this would be good for him. My ten year old granddaughter is studying geography of the United States and I thought this would help in the process. For my grandchildren, I have been looking for a map-puzzle of the US that has mostly an individual piece for each state, that is magnetic (easier to manipulate without spilling the pieces) , has quite a bit of additional information about each state, identifies state capitals (I think, although my poor vision makes this not certain to me). I had a similar map when I was a child and it was a great help to me. This map had a good reasonable price, too!. I think every child should know where these states are located. 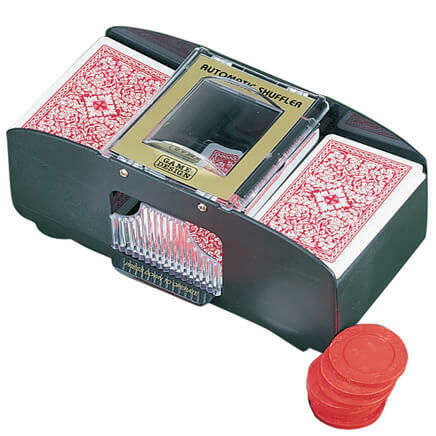 I had one like this when I was a kid and I loved it. Now I want my granddaughter to enjoy and learn. To teach my young grandson the location of the US States. Bought this for my grandson to learn the states. Magnetic on fridge is best, right in front of his view at all times keeps it fresh and in his sights. To put in our camper to show states that we have been to. How many pieces in this USA puzzle? BEST ANSWER: Thank you for your question. The puzzle comes in 44 pieces. I am looking for a map of the USA where each state is a separate piece. If this puzzle has 44 pieces, how can each state be an individual magnet if there are 50 states? I'm just trying to get clarification between Kendra C and Julie E's response below. Thanks. The smaller states on the upper east coast are combined together as one so there is not such small pieces. I hope this is of help to you. Are all the states indivdual magnets? BEST ANSWER: yes all the states are separate. My grandaughter who is five, can put it almost together. Yes, they are. And it's a very nice puzzle, very detailed!! About size of outside of USA map? BEST ANSWER: Thank you for your question. The size is 11" long x 16 3/4" wide. We hope this information will be of help to you. Thank you for your question. We hope this information will be of help to you. was this puzzle made in the U.S.A.? BEST ANSWER: Unfortunately not, it was made in Shenzhen, China. But it is very nicely made & worth the money to me, I haven't seen anything like it. are there not 50 states? how can all the states be individual magnets if there are only 44 pieces in this puzzle? BEST ANSWER: Thank you for your question. Some of the pieces have more than one state on them. We hope this information will be of help to you. Can this be hung on the wall after it’s finished? BEST ANSWER: Thank you for your question. Since its magnetic then it probably will not hang on the wall that well. We hope this information will be of help to you. Can the play board be hung on a wall - will the magnet states fall off the play board if hung on wall? BEST ANSWER: Thank you for your question. If you plan to hang it on a non magnetic surface you will need to come up with a new way to hold it onto the wall. Either command adhesive straps or command hooks. We hope this information will be of help to you. May I find puzzle map in store or just online? BEST ANSWER: Thank you for your question. We are a catalog and web company only we do not have any physical stores. We hope this information will be of help to you. 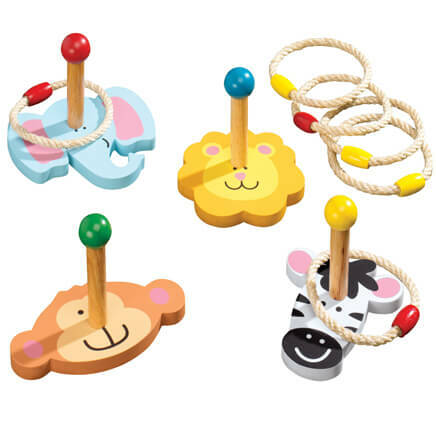 Toss a ring around this cute animal ring toss game and get ready for some old-fashioned fun! Child-friendly, indoor/outdoor game includes monkey, zebra, lion and elephant targets, with 6 jute rings. 4 1/2"-7" wide. Ages 5 and up.